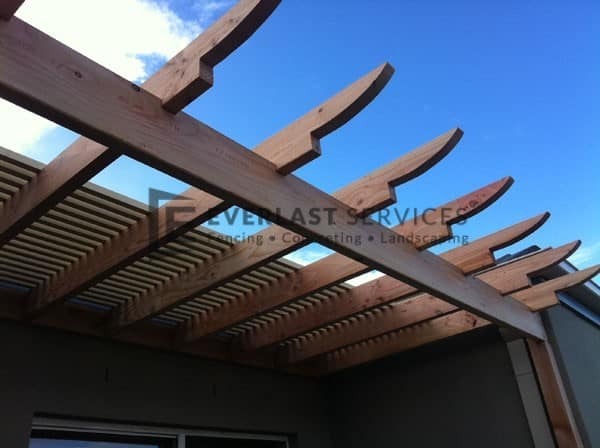 A pergola, patio or verandah is a quick and easy way to add space and value to your home. We recognise that indoor-outdoor living is simply a part of the Aussie way of life. Installing a steel-framed pergola or veranda is a smart, cost-effective way to make the most of your home’s space, and your existing backyard. 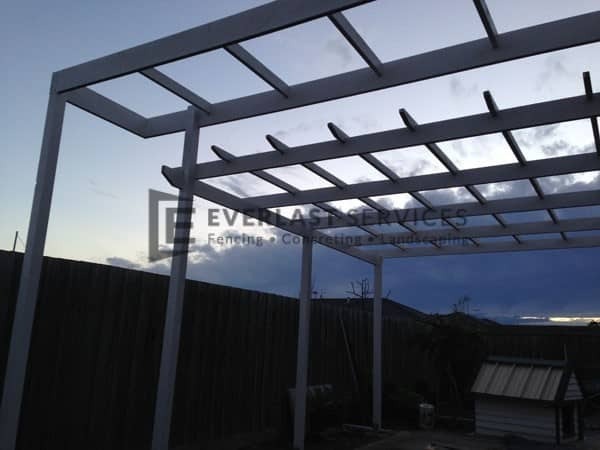 Here at Everlast Services (formerly known as GreenIsland Landscaping), we can custom design and build steel framed pergolas in Melbourne with a whole range of roof profiles, from gable and skillion, to curved or custom designed structures. All our outdoor designs are tailored to suits not only your needs, but your back pocket as well. A family owned business, Everlast Services has its very own factory and showroom in Hoppers Crossing, which manufactures all types of metal and steel on-site. So, you can be assured that all our building materials are of the highest quality, and 100% Australian made. Plus, because we fabricate our own steel and sell as wholesalers, this cuts out the middleman, providing you with the best possible prices on your metal pergola designs. We are always more than happy to visit your home property to quote on your pergola project, provide detailed information and samples, and discuss how we can best meet your needs. 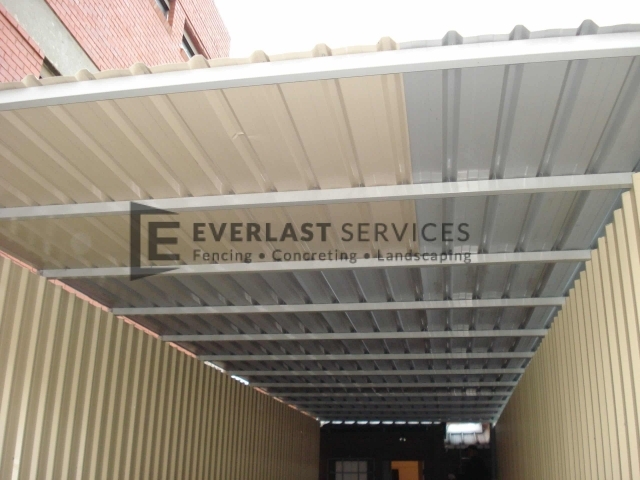 Why Pick Everlast for Your Pergola? Our number one priority is providing the highest possible standards of workmanship on every job. So, we stand behind the quality of all of our projects 100%. We pride ourselves on building quality pergolas and outdoor patios at the best price possible. We’ve been building in business for 20 years. 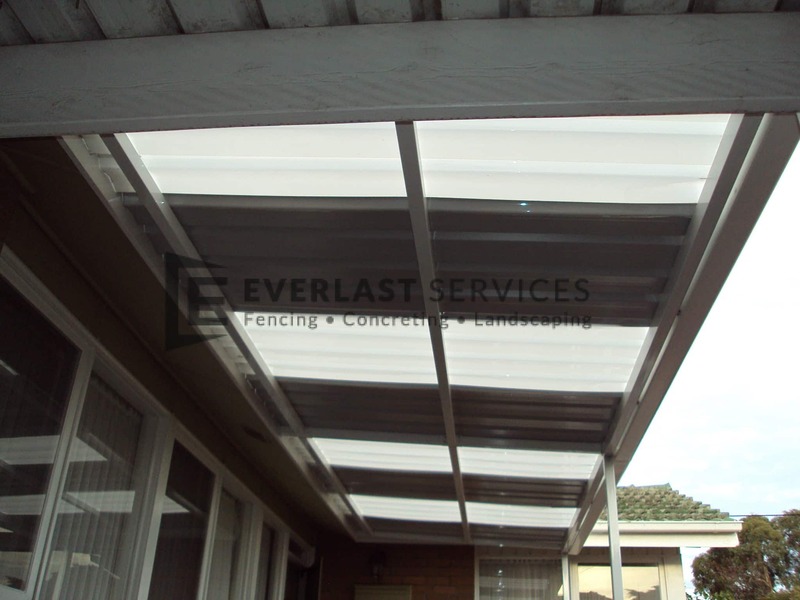 So, we know all there is to know about all types of pergolas, patios and verandas, as well as aluminium slats and Colorbond fences. With all this construction knowledge, your new pergola is sure to be a delight. We are a steel fabricator and wholesaler. So, we can supply high-quality, affordable steel and metal materials. This cuts out the middleman, making the project cheaper for you. We provide a whole range of products and services, apart from just pergolas. 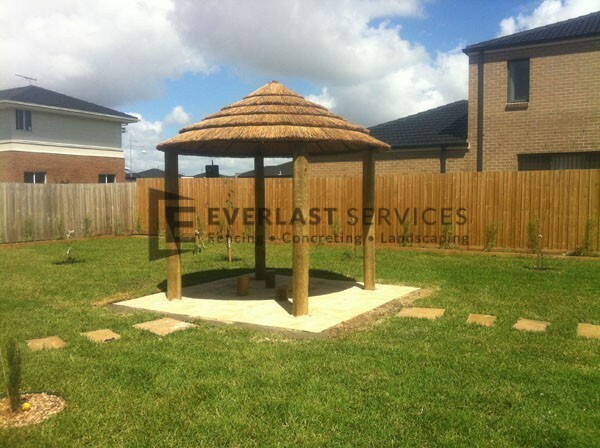 We can deliver every single aspect for your backyard beautification project, also building timber decking and installing swimming pool fencing, aluminium slat fencing and colorbond fencing.